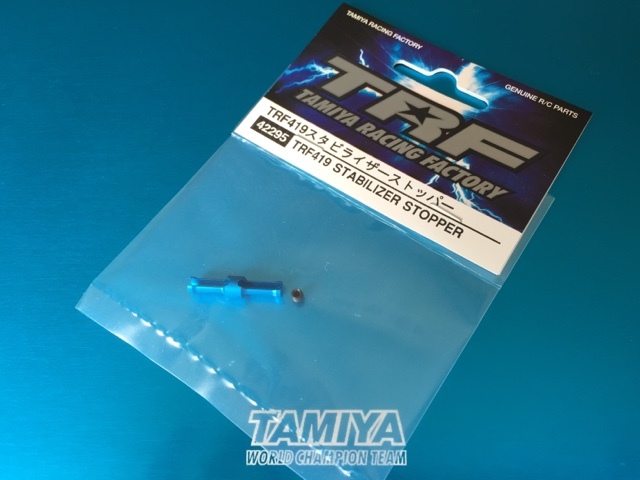 Tamiya is always trying to refine their TRF cars and recently they have launched a few little parts that can refine the experience of owning the TRF419. The stabilizer stoppers on the original kit worked well but they were a little finicky to set-up. 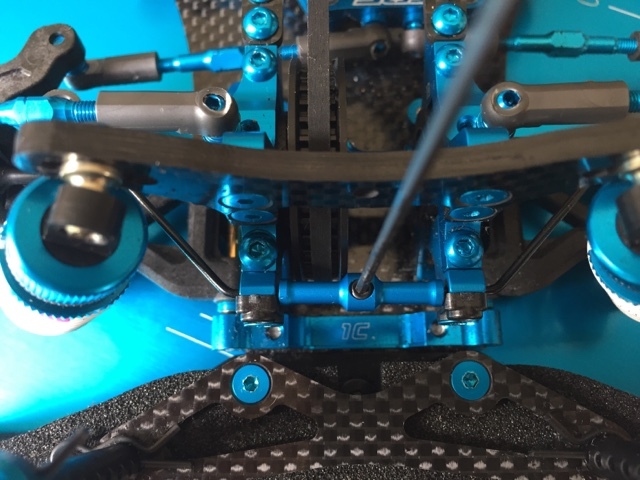 Ideally you want the roll bar centred on the bulkhead, and having two separate stoppers was always a bit of a pain when you would tighten one and then as you tightened the other you would realise that they were not perfectly aligned. 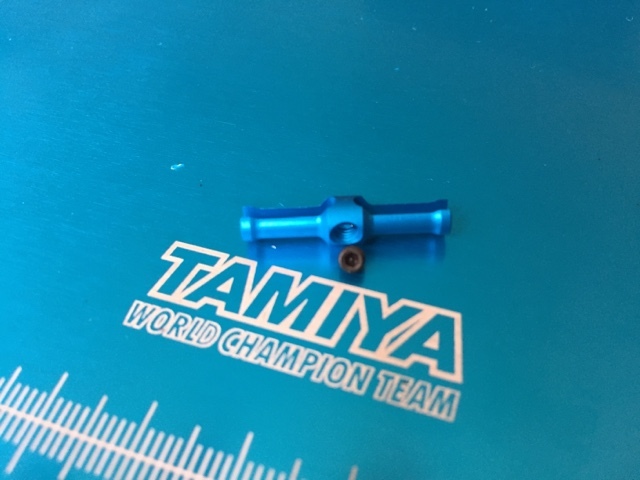 Tamiya has finally addressed this with a new one piece design. Each pack comes with one stopper and the grub screw to attach it. 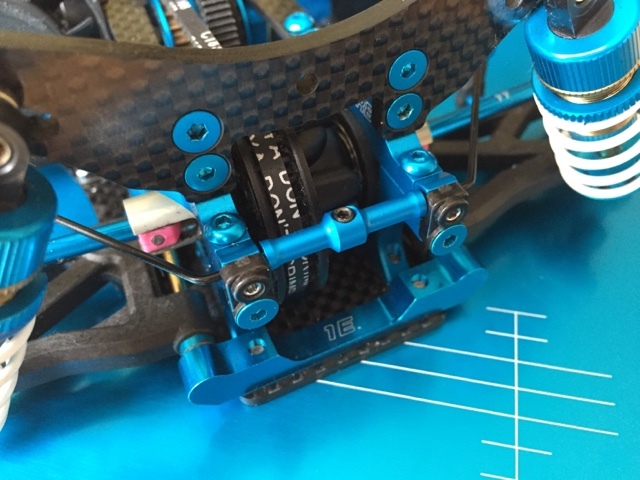 The part is well machine lightweight design. They weigh only 1g more than the original stoppers. Fitting the part is easy, you just have to slide it back over the roll bar between the bulkheads. 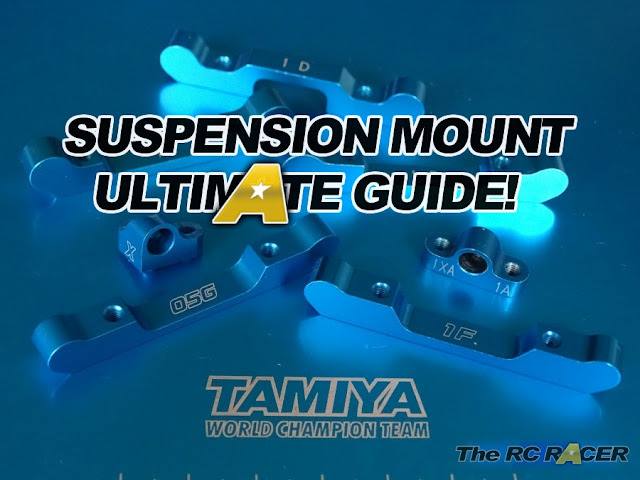 Ensure the plastics roll bar holders are screwed on (and straight) and then, checking it's still free to move you tighten the grub screw and attach it. Here is the final result. It's not going to make the car any faster, but It was so much easier to ensure the roll bar was centred when setting the car back up. These parts are by no means an essential upgrade. However it does help when setting up the car and if you tinker with roll bar types a lot then you should consider them.